April 7th, 2015. 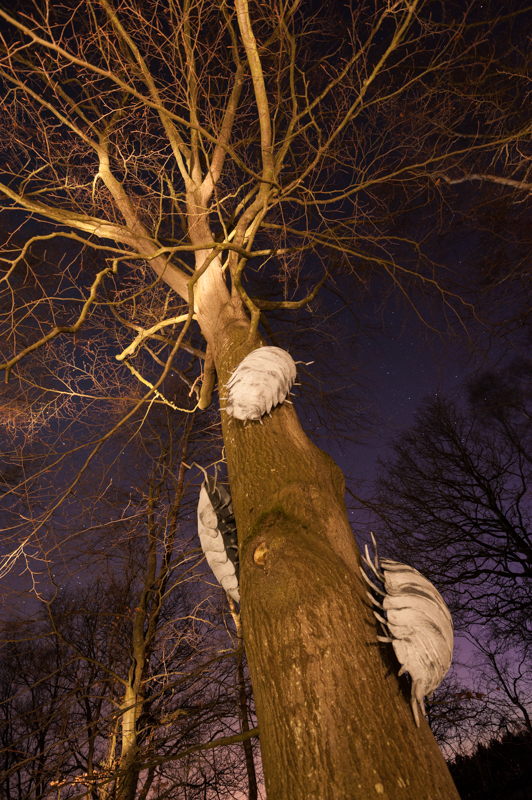 Over the winter, the Woodland Trust Scotland commissioned some outdoor sculptures from David Freedman, for its Butterdean Wood site in East Lothian. A woodwasp, cockchaffer, wood louse family and wild boar in the Pictish style have now been installed and I was briefed to photograph the sites and installations last week. 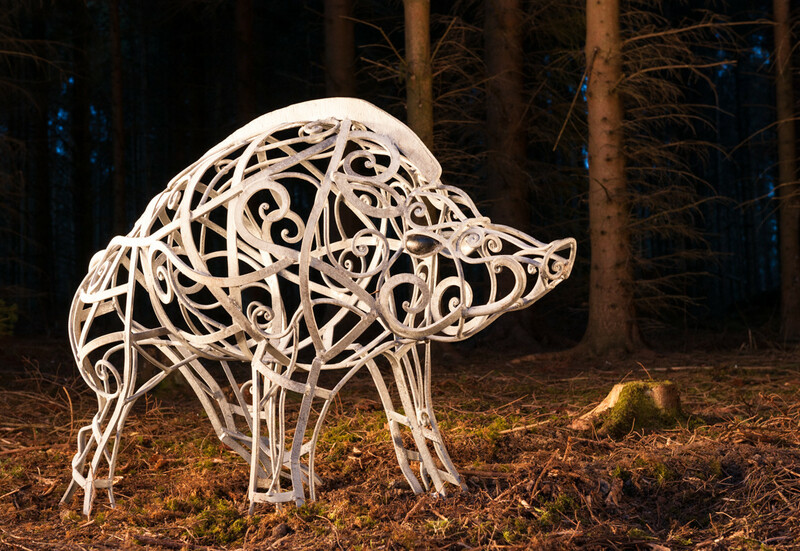 The boar is especially splendid and given its siting (as well as that of the wood lice), light painting at dusk was the best option.